According to the grill’s inventor, Michael Boehm, the inspiration for the grill’s unique design came when he was walking around a department store in the late 1980s and he noticed that not a single grill for sale cooked meat on both sides. Boehm, a lifelong inventor and tinkerer, rushed home and sketched an idea for a grill that did exactly that, as well as drained fat away while the item cooked. To test the concept, Boehm bought some cast iron skillets, placed them at an angle and then tried cooking burgers on the contraption, measuring how much of the fat was drained away. They initially seemed indifferent, even skeptical. That was true of just about everyone I showed it to, [they told me] you can’t cook on an angle! It’s like anything new, something people haven’t seen before. If it’s so great, people say, it would have already been invented. Well… that’s not necessarily the case. Ignoring the naysayers, Boehm continued to pitch his idea, eventually catching the eye of Salton Inc. (now known as Spectrum Brands) in 1994, who agreed to manufacture the device. Now all Boehm needed was a spokesman, which is where Hulk Hogan allegedly came swaggering in. The Hulkster has changed his story on this one over time, initially claiming during an episode of Hogan Knows Best that his agent called him to tell him of the offer to have Hogan endorse the grill, but Hogan missed the call. This purportedly resulted in the agent switching gears and working out a deal for the grill for one of his other clients- George Foreman. This, of course, makes no sense at all as no agent who wanted to keep his job would do such a thing simply over a missed phone call. In an interview in 2011, Hogan changed the story to something a bit more plausible- he was approached by his agent in the 1990s about the idea of endorsing a line of kitchen products. Mr. America was then pitched three different devices his agent had managed to wrangle him offers for: a meatball maker, a blender and a grill. While Hogan liked the idea of putting his name on a meatball maker and a blender, with the latter being released under the awesome moniker of The Hulk Hogan Thunder Mixer, he passed on the grill, allegedly telling his agent “Ah, give that to your other client.” That client? George Foreman. Whatever the case, according to Boehm, Salton Inc sent a prototype grill and some information about it to Foreman after getting in contact with his lawyer. Unfortunately for them, they were promptly stonewalled by the former champ for several months. Foreman’s lawyer, Sam Perlmutter, would later recall that Foreman’s immediate reaction to the grill was less than enthusiastic, with the boxer taking one look at it and flatly stating, “I’m not interested in toys”. Perhaps thanks to being a long-time holdout on this one, Foreman was given pretty ridiculously favourable terms in the deal; in exchange for promoting the grill and slapping his name on it, Foreman was promised a whopping 40% of the profits of each grill sold. This was 25% more than Boehm, the guy who invented the thing, received. The remaining 45% of the profits went to Salton Inc. Launched in 1994 as “The George Foreman Lean Mean Fat-Reducing Grilling Machine” the grill would eventually become a huge success, to date having sold well over 100 million units. That was one of the happiest days of my business life. I lost my last professional boxing match, [but] I’d received a check for $1 million for the grill. 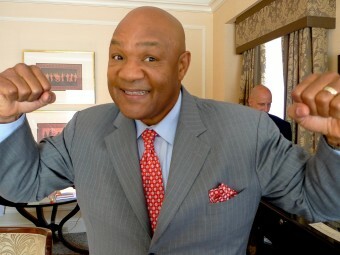 While Foreman has never officially stated how much money he’s received from sales of the grill in total, conservative estimates taking into account his royalties, which at the peak of the grill’s success were totaling about $4.5 million per month, and the $137 million he was paid in 1998 by Salton Inc to buy him out of future royalties, it’s generally estimate that Foreman made well over $200 million (adjusted for inflation, about $300 million today) from the grill; this is approximately 2.5 times what he earned during his prestigious career in the ring. Foreman’s Grill Deal: Best In Sports Marketing History?